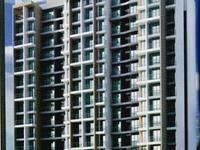 Spacious 3bhk flat with modular kitchen for rent in Sec 11 Belapur. Vastu compliant, 5 mins walk from station, Well illuminated, Vitrified tiling, Recently painted and renovated. Very close to market and shopping center. Good connectivity towards market, Station, Court, NMMC etc.